In the 1980s work began on construction of the vast underground Castle Mall shopping centre in Norwich. The associated archaeological excavation was one of the largest of its kind in northern Europe, designed to investigate not only the castle bailey but also pre-Conquest settlement and, for the post-Conquest period, areas of the surrounding medieval city. 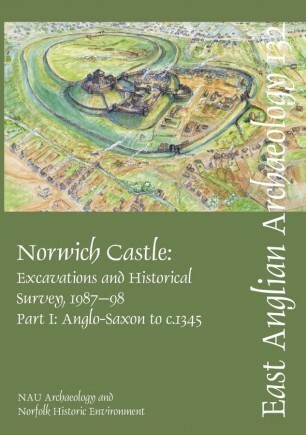 The report describes evidence for late Saxon streets, houses and graveyards; the developing fortifications of an urban castle established before 1100; gradual encroachment by the townspeople into the castle precinct after the 13th century; documentation relating to the ownership and development of properties within the Castle Fee; crafts and industries associated with these plots — notably bell-founding; a late medieval assemblage of great significance from the barbican well including ironwork, leather waste, bird and animal bone; and sizeable finds assemblages resulting from the steady infilling of castle ditches with domestic and commercial refuse.